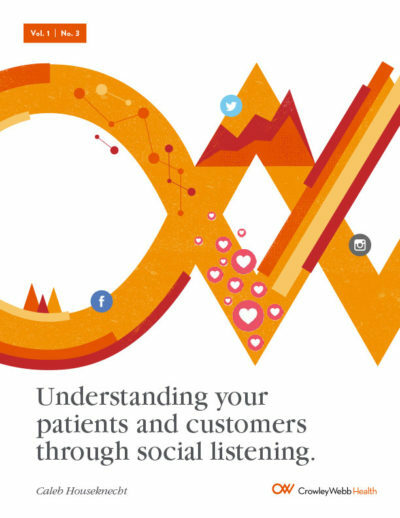 Understanding your patients and customers through social listening. Imagine being tuned in to the conversations of millions of patients and customers as they chat around their personal, tailored online watercoolers. In today’s digital world, consumers are using the internet and social networks to talk about their health. They’re sharing their thoughts and feelings online. They’re sharing the keys to truly understand what motivates them. And through social listening, you have the means to pinpoint and monitor conversations that are relevant to your brand, uncover trends, and identify the right people to engage with your marketing. Get your copy of our social listening whitepaper.